Remember our new challenge? Read this again if not and then let’s get started with exploring the national parks of Hungary! Aggtelek National Park is probably the first national park I’ve ever been to. I was a small kid then visiting the famous Baradla Cave with my parents and feeling very tiny in the giant halls decorated with beautiful dripstone formations. Later this was the first Hungarian national park we’ve visited together with Csaba. Some of the halls still seemed giant and all of them were astonishing – full of dripstones in different shades of white, yellow and red. This karst region is shared between Hungary and Slovakia and the 712 caves of Aggtelek Karst and Slovak Karst are part of the UNESCO World Heritage since 1995. Yes, the number is correct: above 700 caves! Most of them can’t be visited but there are some spectacular ones that you can visit in guided tours. And this karst region is where Aggtelek National Park was founded in 1985. 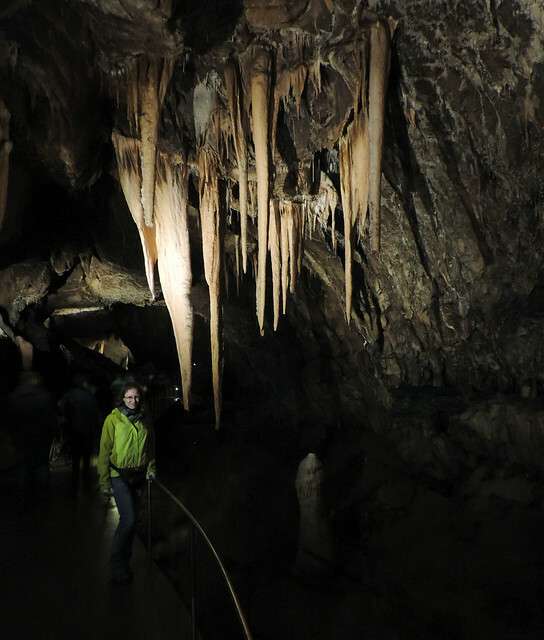 The most famous cave in the park is the Baradla-Domica Cave complex located right by the Hungarian-Slovak border. 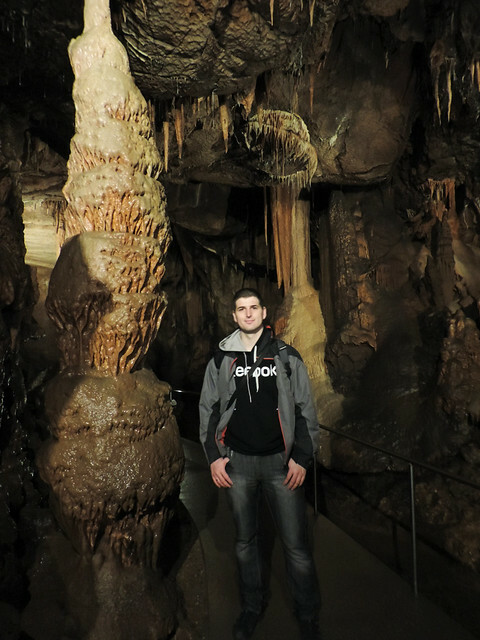 It’s the largest stalactite cave in Europe with the length of 25 kilometres. The longer section in Hungary is called Baradla Cave and the 5 kilometres long section in Slovakia is called Domica Cave. The distance between their entrances is about 10 minutes by car – plus you cross a border that you won’t even notice since both Hungary and Slovakia are within the Schengen zone. We could choose from a wide range of guided tours to explore Baradla Cave. It has three entrances that give access to three different sections of this huge cave system. Regular guided tours start at each one all year round. 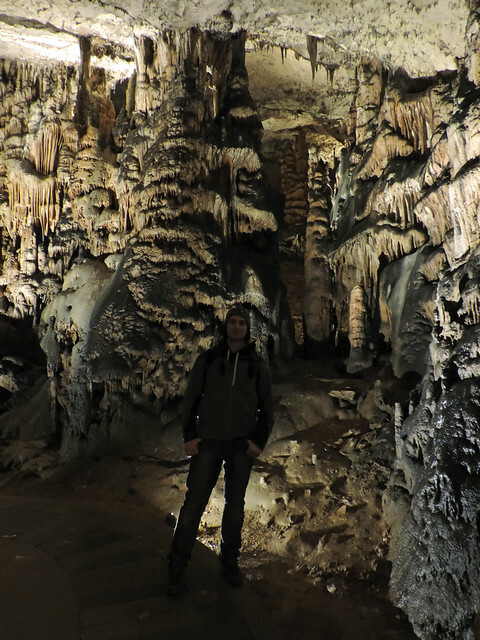 Well, we did all the three tours to see as much of the cave system as we can and we were rewarded with stunning dripstone halls and exciting karst formations. Dripstone is a common name for stalactites and stalagmites. All is clear now, right? 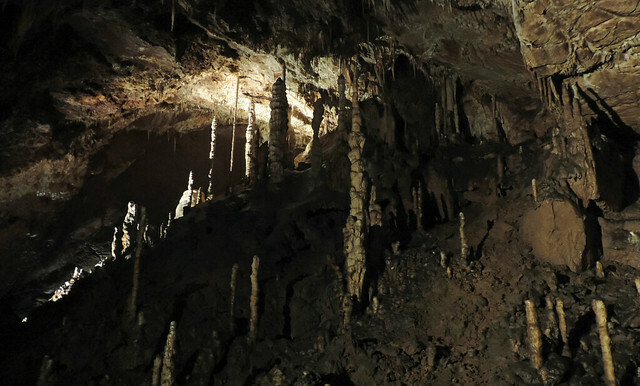 Well, stalactites are mineral formations that hang from the ceiling of a limestone cave and stalagmites are the ones that rise from the floor. All stalactites begin with a single drop of water. When the drop falls, it deposits a thinnest ring of calcite. Each subsequent drop deposits another calcite ring. And drop by drop the huge stalactites are built up throughout hundreds of long years. It happens similarly to stalagmites. And given enough time – meaning hundreds, if not thousands of years – stalactites and stalagmites can meet and fuse to create pillars. And the most important rule to keep them grow is: do not touch them. Oil and dirt from human contact can cause them to stop growing and it can change their color permanently. It takes nature hundreds of years to build these wonderful formations and it’s too easy to destroy them. So please be careful and only touch those that your tour guide shows you can touch – those are probably already ‘dead’ or won’t grow further anyway. So the three short guided tours. The tour from Aggtelek entrance includes a visit to the Concert Hall – it’s an enormous chamber with excellent acoustics. We could even experience how excellent it is as a musical light show was played. The tour from Red Lake (Vörös-tó in Hungarian) entrance also gives access to a chamber with incredible acoustics: Hall of Giants, the largest of all the chambers. Moreover, this route leads to the tallest stalagmite in Hungary called “Observatory” (19 m). The tours from Aggtelek entrance and from Jósvafő entrance took about an hour, the one from Red Lake entrance is a bit longer (about 100 minutes). All of them are easy – meaning it’s a lit walk, no special equipment and no crawling is needed. Waterproof hiking boots come handy though as the route can be wet and they keep your feet dry and warm. Because caves are not warm places. Actually, it’s a good thing because their temperature is permanent throughout the year so you can visit anytime you want. In winter you will feel warmer inside the cave. But not in summer – so just bring a warm sweater then. I’ve already mentioned the short walking tours but that’s not the only kind of experience you can get in Baradla Cave. There are longer adventure tours, too. They do involve crawling with your headlight on but you can see parts of the cave system that are not accessible by any other way in return. Length of these tours vary from 4-7 hours and unlike in case of the shorter tours booking in advance is also required. Since I’m not very comfortable in closed spaces we didn’t even consider the adventure tours. So no first-hand experience from our side. But you can find more info about them on the official website of the national park. Though Baradla Cave is the most famous cave of Aggtelek National Park it’s not the only one that’s open to the public. Daily tours are organized in Vass Imre Cave and Rákóczi Cave, too. Both are home to beautiful dripstones and other interesting karst formations. 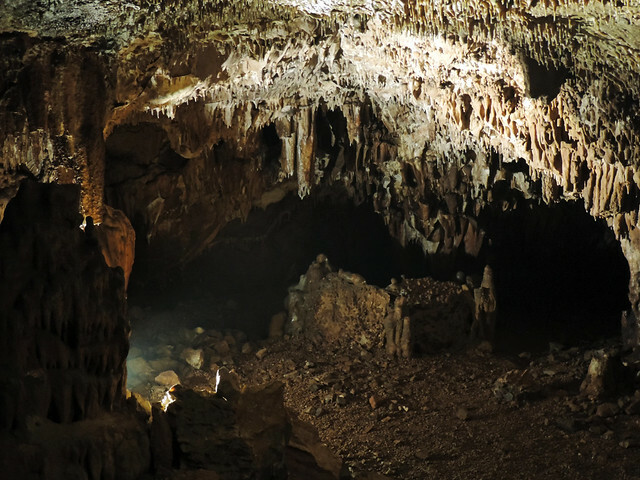 Kossuth Cave and Meteor Cave offer challenging adventure tours for the more experienced cave explorers. Aggtelek National Park is definitely a place where being under the ground is much more exciting than being above it. Still, there are some nice trails that allowed us to explore the surface and taught us even more about this unique karst region. 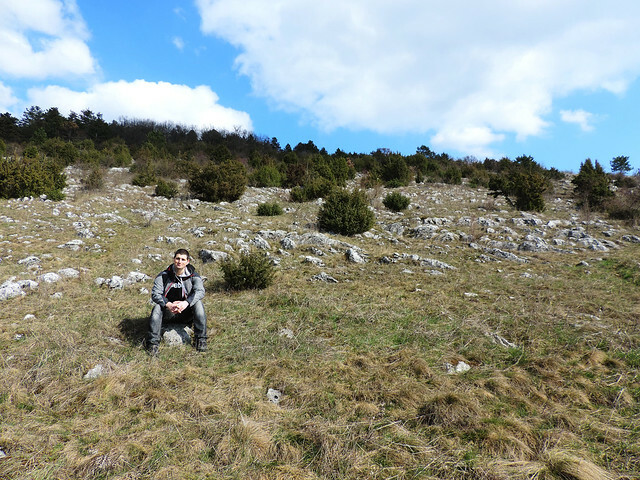 Like Baradla Nature Trail that starts at the Aggtelek entrance of Baradla Cave. During this 7.5 kilometres long trail we could learn about the natural and cultural history of the region. 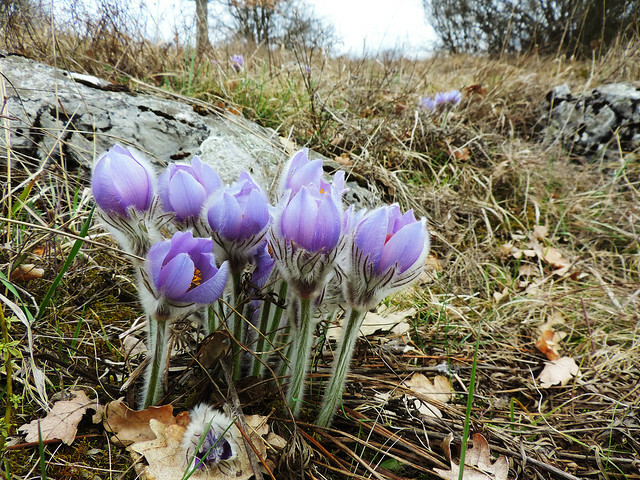 It was especially wonderful in early spring because this region is home to some rare and beautiful flowers. Caves are usually open year-round and since temperature is permanent (10-11 °C) inside the caves any time of the year could be a good time to visit them. Of course, the surface is nicer when it’s green and flowers are in bloom so our vote for the best time goes to spring. Another thing to consider is flooding. Some caves and routes become inaccessible due to flooding from time to time. So our best advice is the same as for any national park in the world: check the weather conditions and the official website of the park before you go. You can’t go far from inhabited areas in Hungary and villages and towns can be found inside the national parks as well. Actually, they are part of their cultural heritage in many cases. That means that finding accommodation is pretty easy. The town of Aggtelek is our favorite choice when visiting Aggtelek National Park. But Jósvafő or Perkupa offer some guest houses, too. You can even choose to stay in Slovakia, towns of the Slovak Karst – like Rožňava – are also located close. If you have a car you need to take highway M3 to Miskolc and then follow the signs to Kazincbarcika and Aggtelek. If you don’t have a car, you can still choose between bus and train. However we would recommend choosing the bus. Buses stop both at Aggtelek and at Jósvafő – you can check timetables here. Hint: line 1054 stops in Eger, too, so you can do some sightseeing on your way there/back. There’s no direct train from Budapest to Aggtelek National Park, you need to change in Miskolc. Moreover, trains only stop outside of Jósvafő and you need to take a local bus to actually get to any of the towns. More info about train schedule here. Are you excited about caves? Have you seen any spectacular one?